Our bespoke man and van service means that you get exactly what you need, when you need it. Regardless of what you need to move, White Van Gentlemen is ready to help. Notting Hill can be a tricky place to navigate, which is why we make sure we know what’s going on with London transport. Irrespective of delays, strikes, or traffic jams, with White Van Gentlemen, you know that your delivery will take not a minute longer than it needs to. Even if you have a massive job and need multiple vehicles with a sizable team, we’re ready to start right away, even at the shortest notice. Our full fleet and highly trained staff will make your job quicker than you thought possible, allowing you time to get on with more important things. With White Van Gentlemen, you know that your goods are in safe hands, as each of our vehicles is fully alarmed and insured to give you complete peace of mind. We’re proud of what we do, and the way we do it, and we get real satisfaction from going that extra mile to make sure your job is completed on time, every time. Our vans are fully equipped with everything you might conceivably need from packing materials to tool kits, so you know that whatever happens, we’ll get it done right, first time. Just call our man and van quote line for a free, no obligation quote from one of our specialist Notting Hill man and van teams on 0207 731 0551. Alternatively, just use our quick enquiry service, and we’ll get right back to you whenever you want. 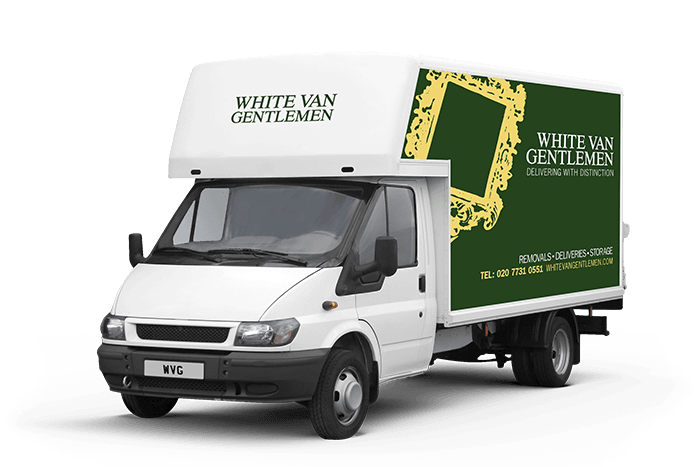 White Van Gentlemen is a deliveries, removals and storage company with a difference. We make sure that every job we undertake is carried out with our unique mix of professionalism and courtesy that has built our reputation as the best in town. We want you to join our hundreds of delighted customers in Notting Hill, so call today and find out exactly what we can do for you.